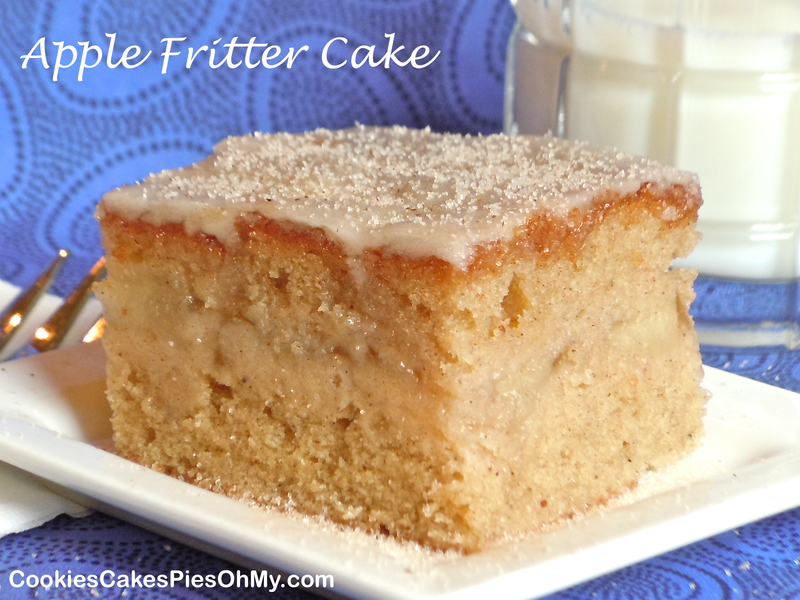 A delicious moist little snack cake. 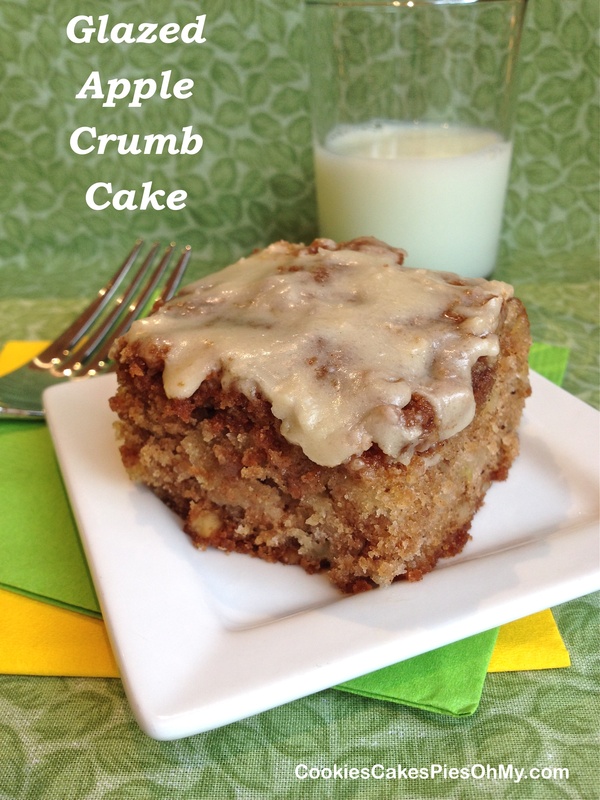 Glazed Apple Crumb Cake from layersofhappiness.com. Preheat oven to 350°. Make topping by mixing flour, brown sugar, cinnamon, and salt. Cut in butter until crumbly, set aside. For the cake batter, in large bowl stir together flour baking soda, cinnamon, nutmeg, and salt. In a medium bowl whisk together oil, brown sugar, sugar, egg, egg white, and vanilla. Stir liquid mixture into dry ingredients just until combined. Fold in apple and walnuts. Spread cake batter in well sprayed 9″x9″ baking pan. Sprinkle crumb topping evenly over cake batter, press down. Bake 30-35 minutes, until done in center. For the glaze, in small bowl, whisk together melted butter, brown sugar, sugar, milk, and vanilla. Add powdered sugar and whisk until just combined. Drizzle over cake. Enjoy cake warm or room temperature. Something that came to my mind that needed to be played out. I sent a picture of the rolls on my phone to my parents, my dad said, “We’ll be over and I’ll bring a gallon of milk”. That makes me happy! 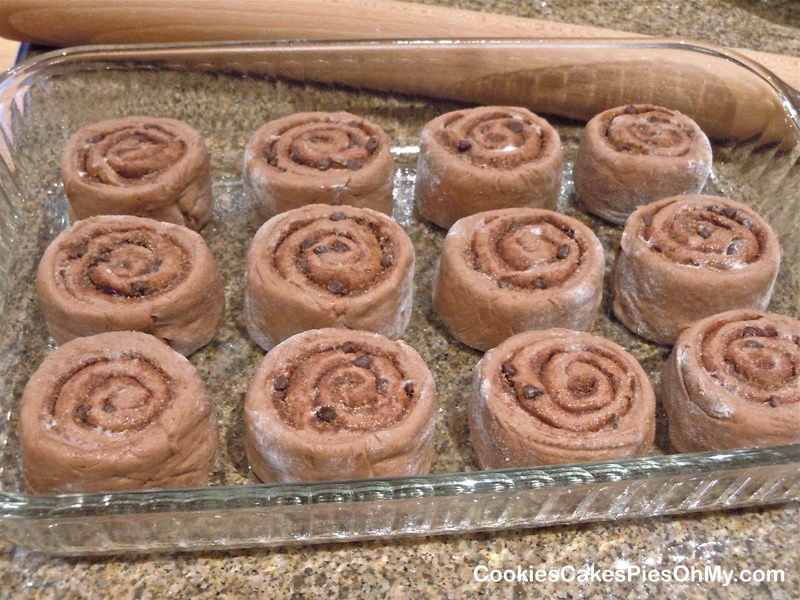 Make sweet roll dough – in bowl of mixer, sprinkle yeast over warm water. Add sugar, oil, and 1 cup flour. Mix until well combined. Add remaining flour and salt. Knead. Let rise until doubled. Make orange cream cheese filling – by whipping cream cheese with electric mixer. Add brown sugar, orange juice, flour, and orange zest. 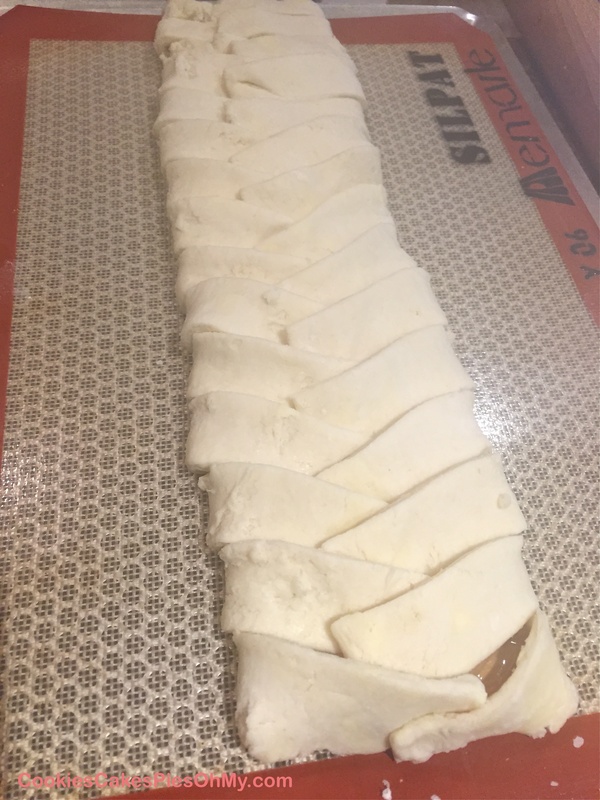 Roll out dough to approx 18″x10″. 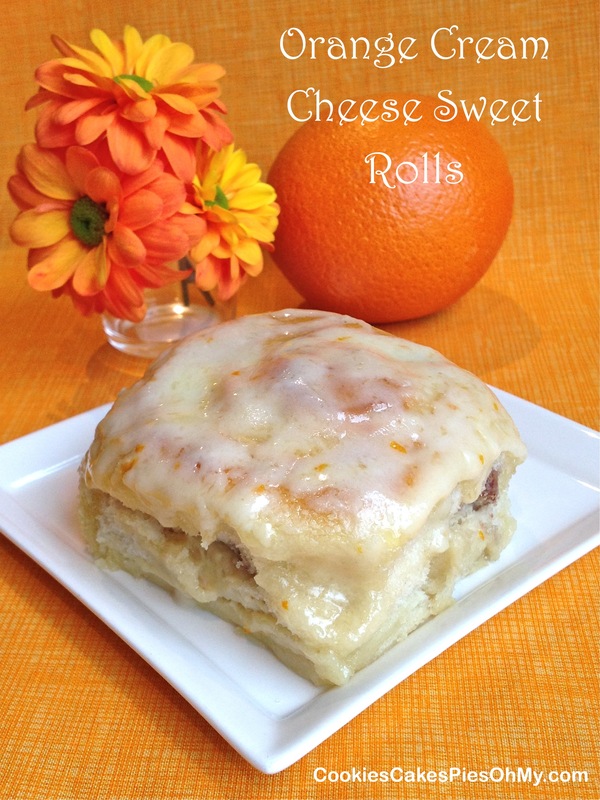 Spread orange cream cheese filling evenly over dough. 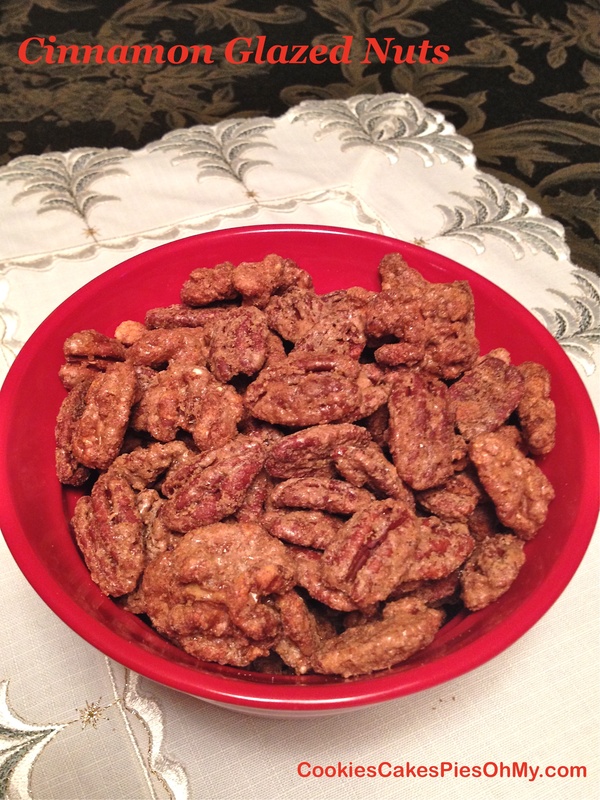 Sprinkle pecans over and roll from long end to long end, pinch seam. Cut into 12 pieces (I use thread, place under dough, cross ends over and pull quickly through dough), put in sprayed 13×9 pan*. Cover and let rise until doubled. Bake in preheated 375° oven for 17-20 minutes. Mix butter, powdered sugar, orange juice, and orange zest. 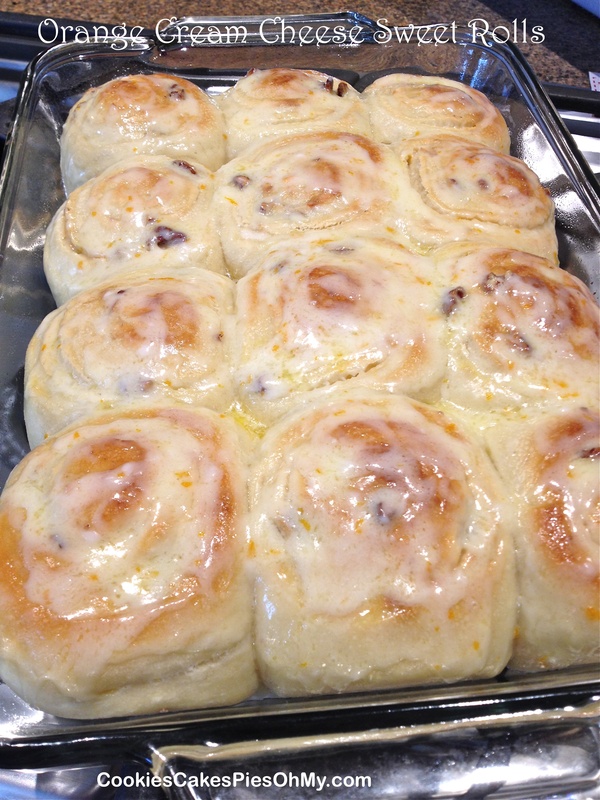 Spread over warm sweet rolls. 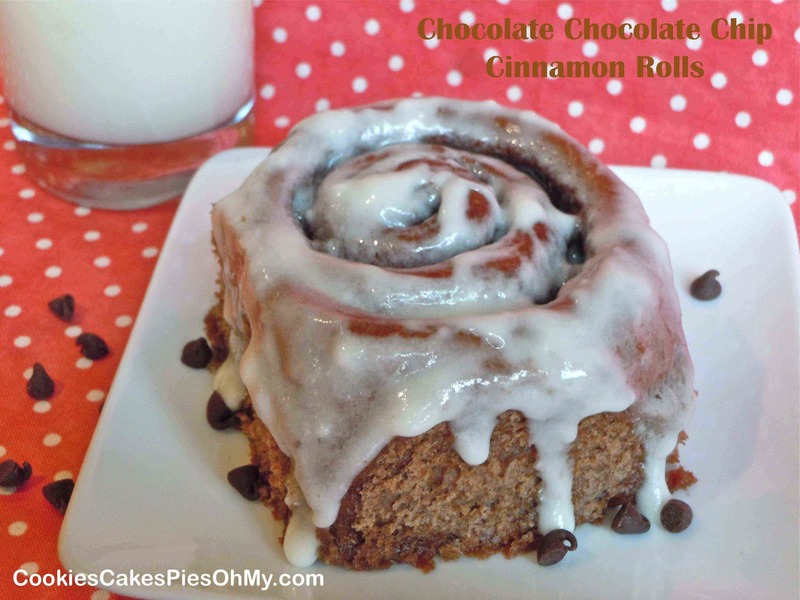 * At this point you can cover the pan of rolls tightly with plastic wrap and put in refrigerator overnight. Take out in the morning, remove plastic wrap covering with towel, and let sit for one hour. Preheat oven and bake & frost as above. 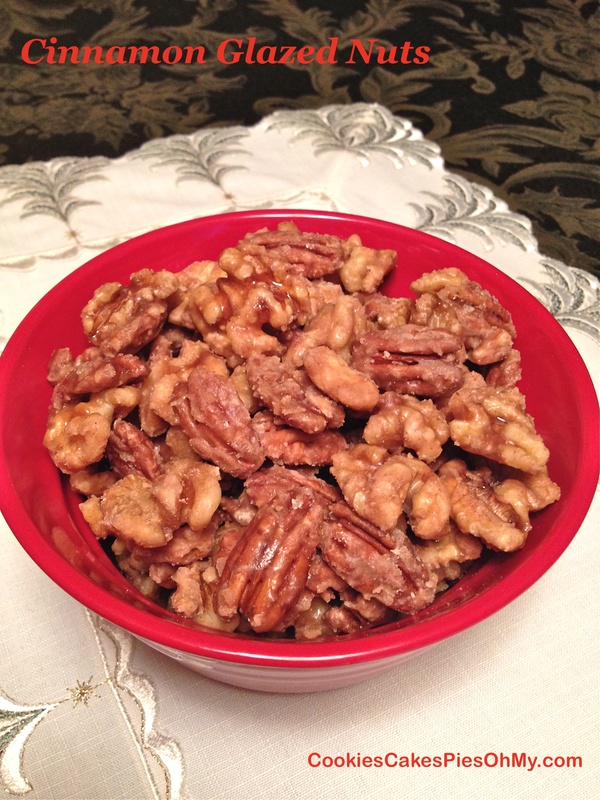 Cinnamon Glazed Nuts – Two Ways! These nuts are a delicious snack. I usually make them around the holidays to give as gifts or just to have around for family and friends. There are two recipes I use, one I can’t remember where I got it and another from my mother-in-law. The first has a smoother texture with a hint of vanilla flavor. The second has a more granular texture with more of a toasted flavor. Both are yummy and what we called “morish”, you just have to have more! Try both! Spray a cookie sheet, set aside. Put nuts in heat safe bowl. In saucepan, combine water, sugar, cinnamon, and salt. Bring to boil over medium heat. Stirring constantly, cook to soft ball stage about 240°. Remove from heat and stir in vanilla. Pour hot syrup over nuts and stir to coat completely. Spread nuts out on prepared cookie sheet and cool to set up. Break apart. Store in airtight container. Preheat oven to 350°. Put nuts in large bowl. In small bowl, whisk egg white and water until frothy. Pour over nuts and toss to coat well. In small bowl, combine sugar, cinnamon, and salt. Sprinkle small amount over wet nuts and stir, sprinkle more and stir, continue until nuts are well coated. Spread nuts out on large cookie sheet. Bake 10 minutes, remove and stir. Bake 10 minutes more, remove and stir. Bake 5-10 minutes more, stir. Remove from oven and let cool completely. Store in airtight container. There is just something about moist square tasty items that you can sink your teeth into, brownies, blondies, sheet cake, bars of all kinds. I admit, it’s a problem for me, but I am willing to live with it! Preheat oven to 350°. Line a 9″x9″ baking pan with foil, spray with non-stick spray. Stirring by hand, mix butter, sugar and vanilla. Add eggs, one at a time beating after each addition. Stir in lemon juice and lemon zest. Mix in flour and salt. Pour into prepared baking pan, spread evenly. Bake 25 minutes. Cool and glaze. Stir together powdered sugar and lemon juice. 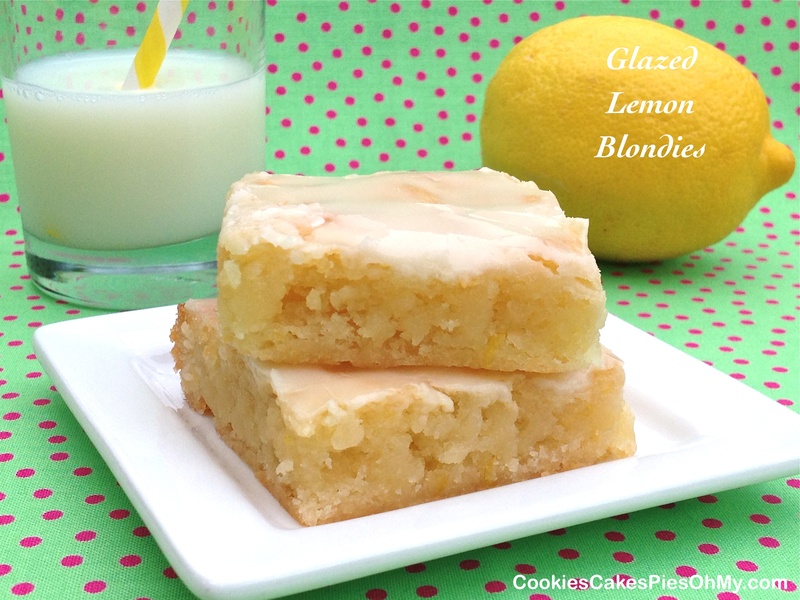 Spread over cooled lemon blondies. Remove from baking pan pulling out with foil. 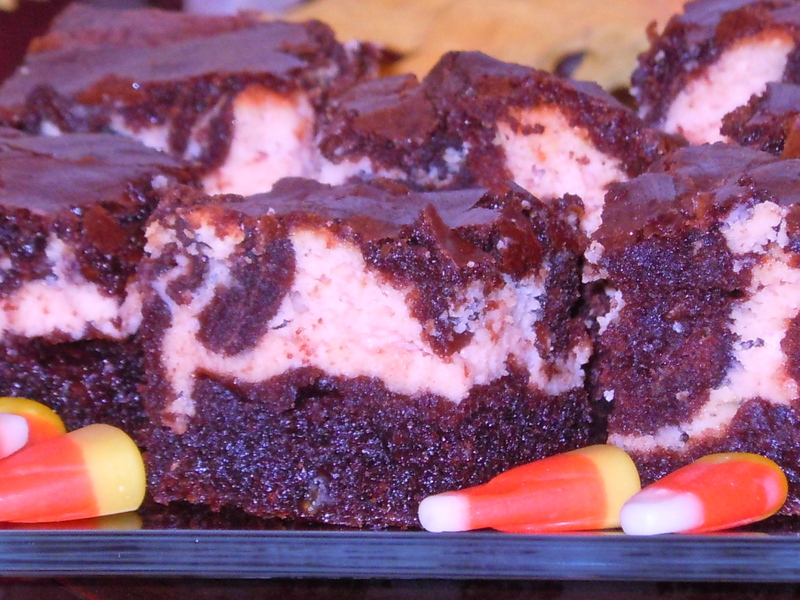 Set on cutting board, pull back foil and cut into tasty squares. 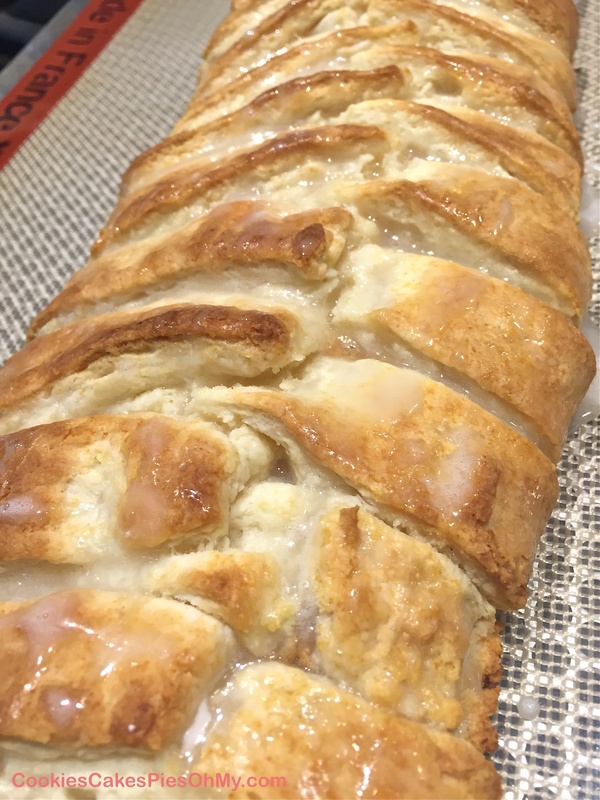 Perfect for a brunch, afternoon snack, or warm a piece, drizzle with glaze and add a scoop of vanilla ice cream for dessert! You decide, it’s all good! Preheat oven to 350°. Whisk together flour, baking soda, baking powder, and salt; set aside. Cream butter and sugar with electric mixer. Add eggs, orange juice, and orange extract, mix well. Add dry ingredients alternately with sour cream. 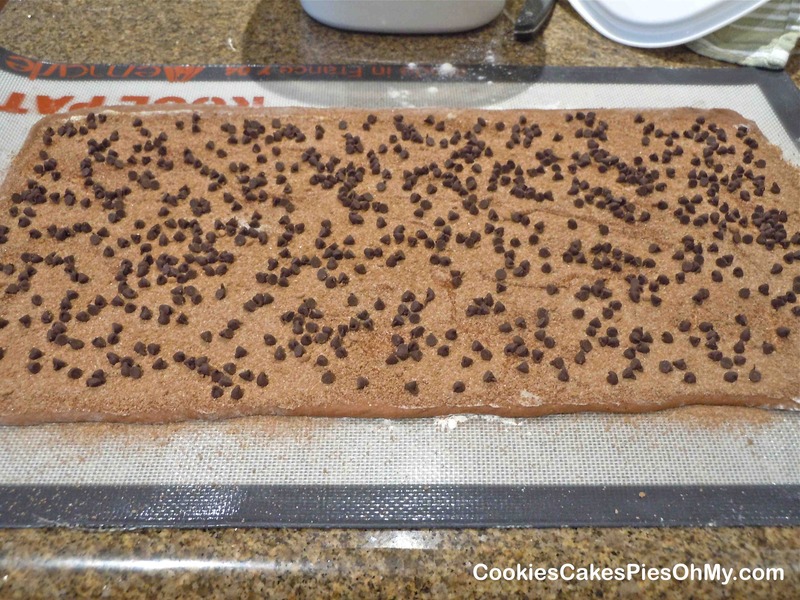 Pour cake batter into sprayed 9″x9″ or 11″x7″ baking pan. Mix together following topping. 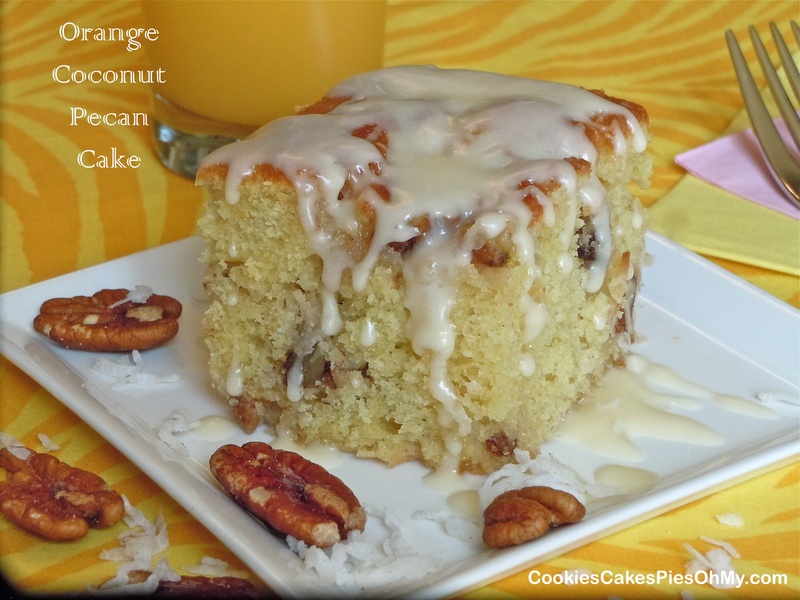 In small bowl, stir together butter, sugar, flour, orange juice, coconut, and chopped pecans. 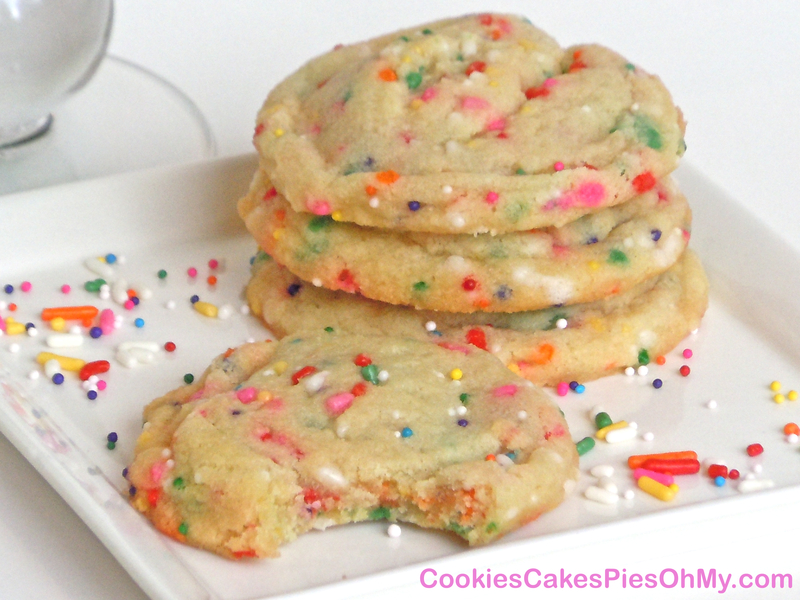 Drop little globs all over top of cake batter (works best using your hand). Bake for 35-40 minutes or until golden brown and center is set. Stir together butter, powdered sugar, and enough orange juice to make desired spreading or drizzling consistency. 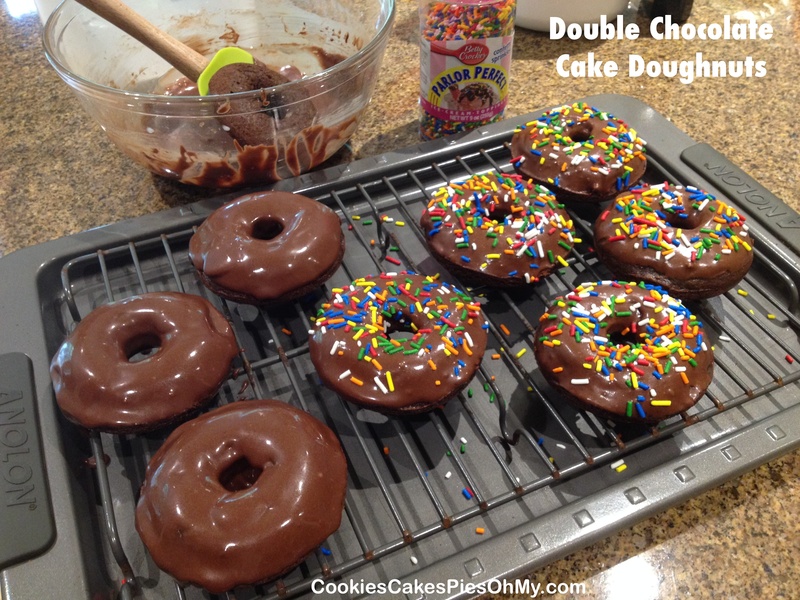 Can be spread over cake as it is cooling or wait until serving and drizzle glaze over each piece. Some might think I am crazy, but I felt the need to somehow make one of my favorite “comfort foods” even more comforting. ;o) Or maybe just more fattening. 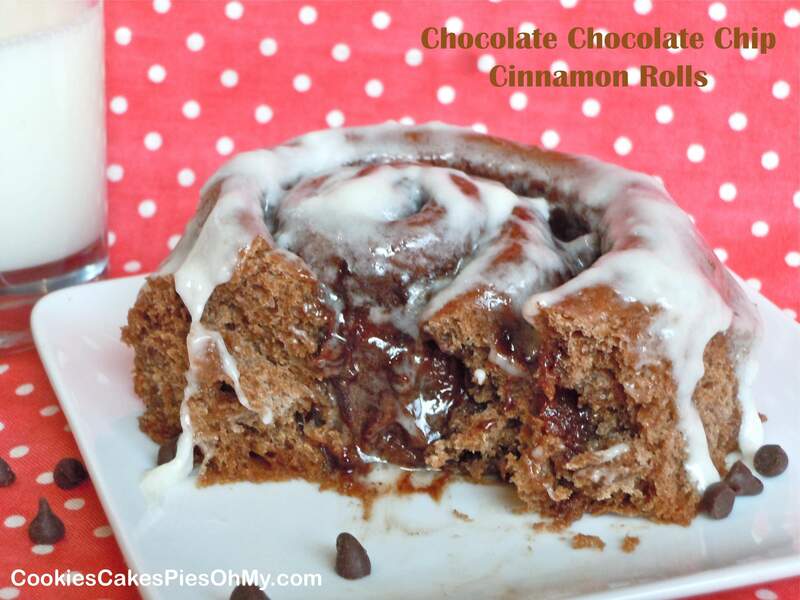 Well, here we have it…chocolatetized cinnamon rolls. You be the judge. In my judgement, I think you might want to try it! Warm milk and butter to 110° in microwave. Pour into bowl of mixer. Sprinkle yeast over warm milk mixture. Sprinkle sugar over yeast and let sit for 10-15 minutes. Add flour, cocoa, and salt, mix well and knead. Turn into sprayed bowl, cover, and let rise in warm place for 45 minutes. In small bowl, stir together sugar, brown sugar, cinnamon, and cocoa. 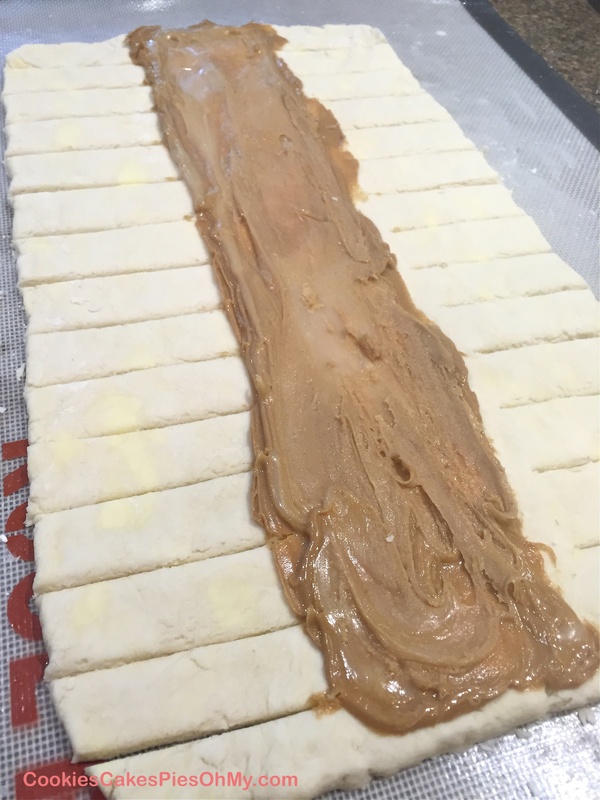 On floured surface, roll out dough to 18″x10″ rectangle. Spread softened butter evenly over dough. Sprinkle filling evenly over butter. Sprinkle mini chocolate chips evenly over filling and gently press down. Roll up from long end to long end, pinch seam. Cut into 12 1½” rounds (I use thread, place under dough, cross ends over and pull quickly through dough), put in sprayed 13″×9″ pan. Cover and let rise until doubled (about 30 minutes). Bake in preheated 375° oven for 15-20 minutes. Mix powdered sugar into butter, add enough milk to make desired glaze consistency. 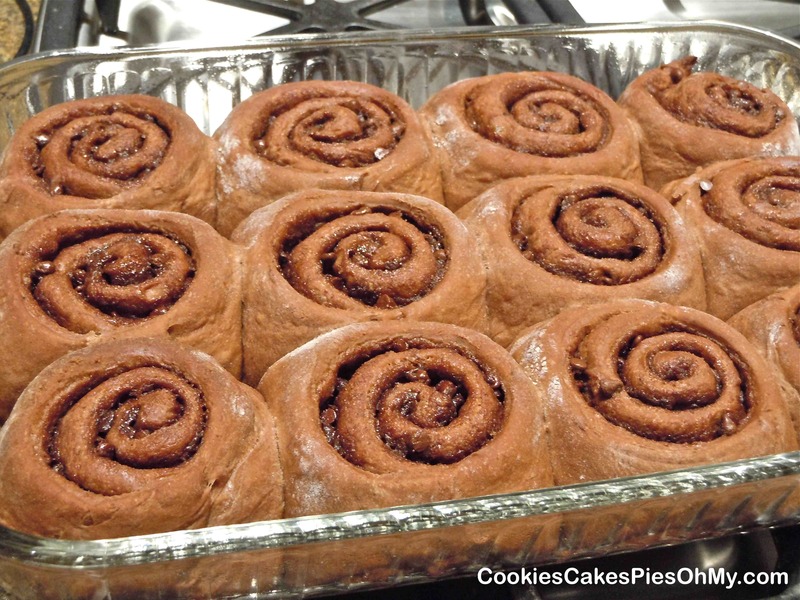 Spread over warm cinnamon rolls. A new favorite! This is not your everyday muffin, definitely special. These would be great for a brunch or shower, make them as mini muffins. The salty macadamia nuts and creamy white chocolate, yum! Preheat oven to 400°. In large bowl, combine flour, sugar, baking powder, and salt. In another bowl, combine egg, milk, and butter; stir into dry ingredients just until moistened. Fold in chips and nuts. Evenly distribute batter into 12 or 6 (depending on the size you want) paper-lined muffin cups, sprayed cups, or Demarle tray (no prep necessary). Bake 15-18 minutes for 12 smaller muffins, 20-22 minutes for 6 large muffins, or until a toothpick inserted near the center comes out clean. Cool for 5 minutes before removing from pan to wire rack. For glaze, in microwave, melt chips with cream at 70% power for 1 minute; stir. Microwave at additional 10 to 20 second intervals, stirring until smooth. Drizzle over warm muffins. Serve warm. From tasteofhome.com. 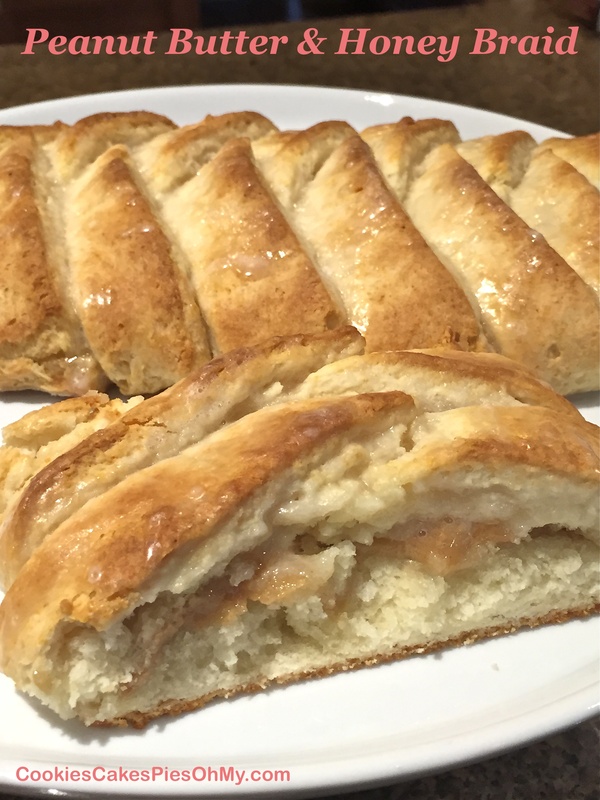 So cinnamony, appley delicious. What, my computer is telling me those aren’t real words? Inspired by cookiesandcups.com. Preheat oven to 350°. Spray 9″x13″ baking pan with nonstick spray. In large bowl with electric mixer, cream butter and sugar. Mix in vanilla and eggs. Stir together flour, baking powder, baking soda, salt, cinnamon, and nutmeg. Add dry ingredients alternately with sour cream to creamed mixture, mix well. Spread half cake batter in prepared pan, spoon apple pie filling over cake batter, and spoon remaining cake batter over top of apple filling spreading gently. Stir together 1/4 cup sugar and 1 tsp cinnamon, sprinkle evenly over top of cake batter. Bake 30-35 minutes, until center of cake is set. While cake is baking, stir together glaze. 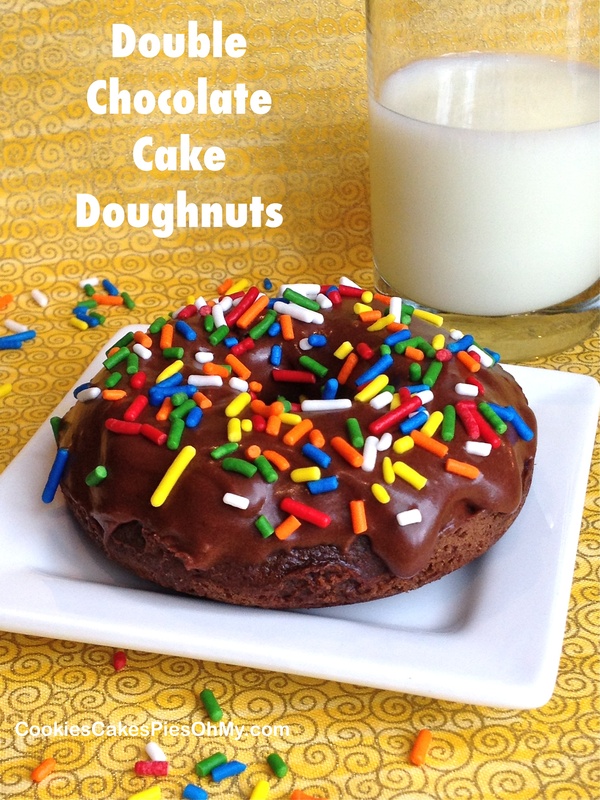 Mix powdered sugar, butter, milk and vanilla in medium bowl, add enough milk to make a thick pourable consistency. When cake is done, immediately poke holes using knife, about 30 pokes. Pour glaze over top cake spreading to cover completely. Let glaze set up for about 20 minutes before serving. Sprinkle with cinnamon sugar if desired.